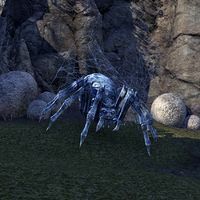 Aesar the Hatespinner is a giant spider found at Aesar's Web. It has a chance to drop the unique necklace Darkstride Hatespinner Amulet, a unique item in the Darkstride item set. This page was last modified on 23 October 2017, at 01:24.